To meet the objectives of the Paris Agreement, global CO? 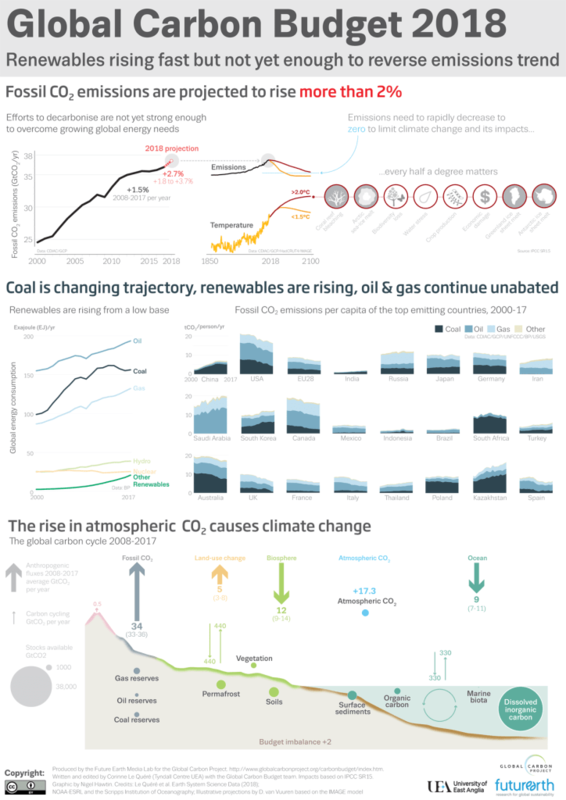 emissions need to decline rapidly as possible, reaching net-zero emissions sometime after 2050. We also need to remove CO? from the atmosphere at scale. The problem? We are accelerating in the wrong direction. A recent boom in coal and natural gas, and a recent shuttering of nuclear plants, means that while carbon emissions leveled off briefly in the mid 2010s, they are increasing again. Yes, there’s some good news in solar and wind, which are growing exponentially as prices drop. Energy prices from utility-scale solar plants have dropped 86% in the past decade, and new solar now costs $50/mWhr, less than half the cost of coal. But renewables are not scaling up quickly enough for the globe to reach zero emissions by 2030. Remarkable as their growth has been, it has not offset the growth in coal, oil, and gas use over the same time—much less replaced existing fossil fuels. Microgrid and battery technologies may be advanced enough within several decades to replace 100% of our energy needs, but right now we need more than renewables in our zero-emissions energy portfolio to control climate change. When renewables have replaced all existing fossil fuels in power production, that’s the time to consider closing existing nuclear plants. In the U.S. right now, nuclear plants are our largest source of zero-emissions power, “producing about 60 % of zero-emission electricity and approximately 20 % of total electricity.“ Globally, if nuclear were shut down, we would emit an additional 2.5 billion metric tons of CO2 each year. That’s a lot of CO2. Since 2013, competition from cheap natural gas—and lack of an effective price on carbon—has led to the closure of five nuclear plants in the US. Six more plants are scheduled for closure by 2025 (although they could operate for decades longer, and they would be cost-effective if we priced the negative externalities of fossil fuel pollution with a carbon fee). These six plants generated nearly 60 million megawatt hours in 2017. That’s more than all of U.S. solar panels combined. If those six plants close, domestic CO2 emissions will increase nearly 5%, erasing all recent climate gains from last decade’s decline of coal. Here’s another way to think about it: if we close just one single aging nuclear plant, Pennsylvania’s notorious Three Mile Island, that will mean losing more zero-carbon power than all of the state’s renewable resources—solar, wind, geothermal, and hydro—put together. When nuclear plants have shut in recent years, fossil fuel emissions have increased. After Southern California Edison retired two reactors at the San Onofre nuclear plant in 2013, California electricity sector emissions rose 24% the next year (Plummer 2016; Kern 2016). When Vermont Yankee closed in 2014, CO2 emissions for the state electricity sector rose 5%. After Fukushima, Japan began shutting down some reactors, and their carbon emissions increased nearly 10 %. Germany retired 8 of its 17 reactors after Fukushima, and the decline in its emissions quickly came to a halt. Germany’s emissions increased from 2012-2013, fell in 2014, but increased again in 2015. Even with a sustained commitment to bringing new solar and wind online, Germany’s decision to shut nuclear plants undermined its climate efforts. Some states, such as California, have negotiated agreements to ensure that nuclear energy is replaced only with renewables. But that does not eliminate the climate hit from closing nuclear plants. In California, “Pacific Gas and Electric has announced that it plans to replace Diablo Canyon with zero-emitting resources, primarily renewables and energy efficiency. The utility has about eight years to prepare for these replacements.” Electricity sector emissions won’t go up, but because those renewables are replacing other zero-emissions energy sources rather than high emissions energy sources, California will still be further from meeting its essential goal of zero-emissions energy. Substituting one zero-emissions source with another does nothing to slow climate change. Radiation is indeed frightening. In ordinary operation, coal plants release 100 times more radiation than the equivalent nuclear reactor—but it’s not ordinary operation that folks are concerned about; it’s the risk of a meltdown. Risk is worth interrogating more closely, however. Risk is not just how scary something is. It’s defined as hazard (the harm from something) times probability (the chance of that something happening). For example, the hazard of mutant zombies chewing our faces off is vast, but the probability (one trusts) is zero, meaning that the zombie risk is zero. Yes, that represents an enormous hazard, even if it doesn’t mean that entire continents would be rendered uninhabitable. Chernobyl was an even worse disaster, magnified by poor Soviet nuclear design and worse maintenance. 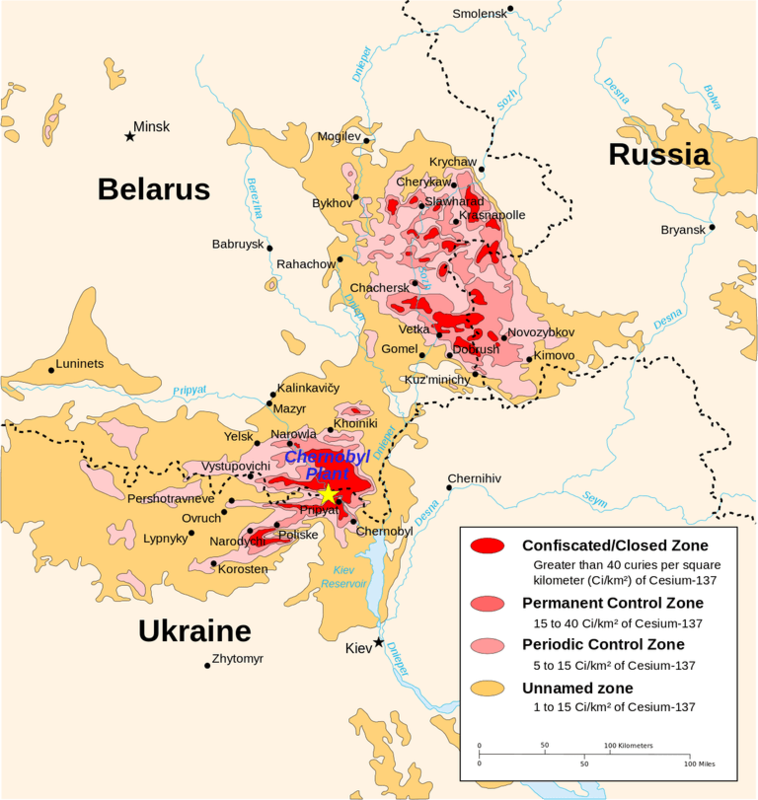 The 18 mile radius exclusion zone around Chernobyl is still off limits for permanent residents, and the Zone of Alienation has reached 1000 miles. 70% of the fallout landed on Belarus, contaminating 25% of the country. People who work in the exclusion zone must rotate in and out to limit radiation exposure, and extremely toxic hot spots persist . Entire continents may not be rendered uninhabitable by a meltdown, but the hazards are terrible for those exposed, cast out from their homes, suffering possible radiation-related illnesses. But while these hazards are high, the probability of them recurring is much lower than the probability of climate change. The nuclear industry has experienced 3 partial meltdowns in 17,000 cumulative reactor-years of commercial operation, which translates to a 0.018% probability of any given reactor having a serious accident in any given year. That’s a significant probability for something with such a high hazard, which means the risk is real. The industry is very good at responding to historical disasters and designing new safety systems to lessen the risk of the same accident occurring twice, but probably less good at anticipating new things that can and will go wrong in such complex systems. 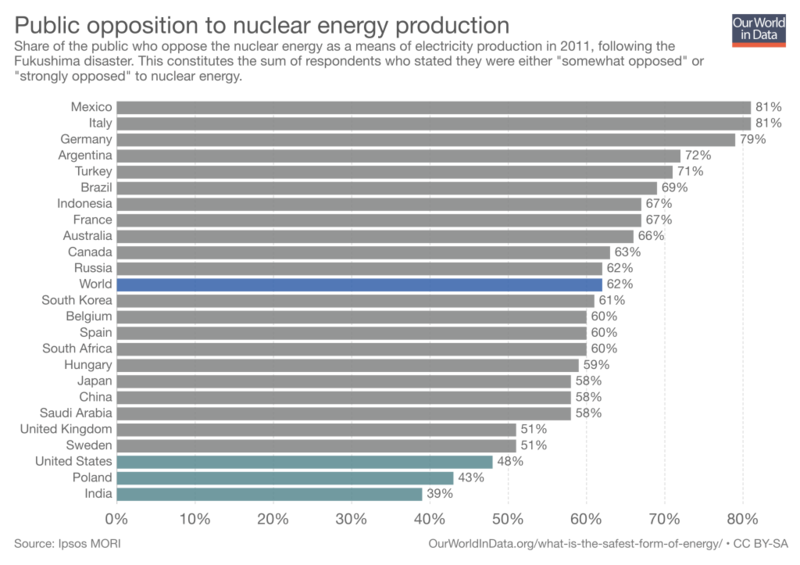 These are real risks, and dismissing them as negligible is not persuasive to most people—certainly not to the 81% of Mexicans who oppose nuclear energy production, or the 63% of Canadians who oppose it, or the 48% of Americans who oppose it. Concerns about meltdowns are matched by anxiety about waste storage for many people who oppose nuclear. Long-term waste storage for high level nuclear waste is a huge cost issue. Technical solutions exist for the containment of high-level waste, as Finland’s current project to build the world’s first high-level, long-term waste storage facility shows—but most countries have been unwilling to pay the necessary costs. Finland’s project costs more than $5 billion. But Finland has a negative externalities law for industries, so the company pays, not the public. 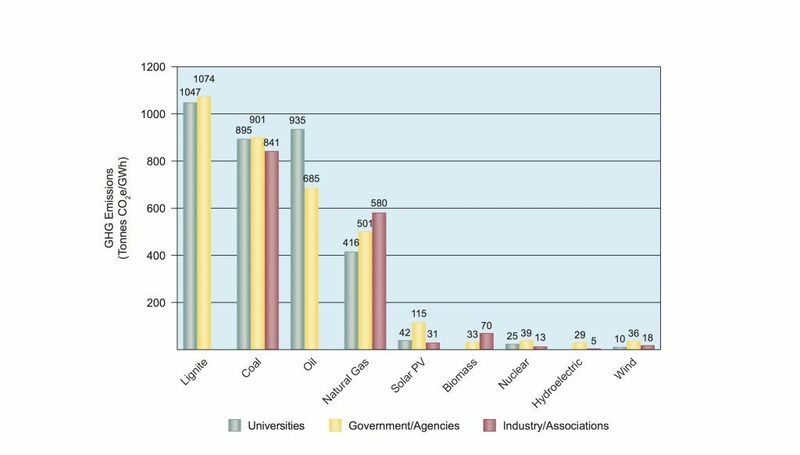 In comparison, the environmental and health costs of coal mining in the U.S. alone—which the companies do not have to pay for— are at least $345 billion/yr, dwarfing the costs of long term nuclear storage. .
To make intelligent decisions about energy portfolios in the context of climate change, we need to compare nuclear’s risks to the risks of coal pollution & climate deaths. Consider Michigan, I tell my students, most of whom are from the state. In 2015, 30% of our electricity came from nuclear and 50% from coal. Do these coal plants present risks as great as our nuclear plants? Students typically assume not. They guess that historically, global deaths from nuclear disasters and radiation exposure have been much higher than global deaths from coal. But they are off by 400 fold. For every person that has ever died in a nuclear accident or from long term radiation exposure, more than 400 have died from coal. Coal represents a kind of “slow violence,” in Rob Nixon’s evocative phrase, so it’s largely underestimated. Because there’s not a single crippling accident that captures the world’s attention, the hazards of coal combustion are often invisible to most Americans. But they are enormous. Nine million people died premature deaths from pollution in 2015, mostly from air pollution. 85% of that airborne pollution comes from fossil fuel and biomass combustion, mostly from coal. Coal kills millions each and every year—even ignoring the risks of climate change. 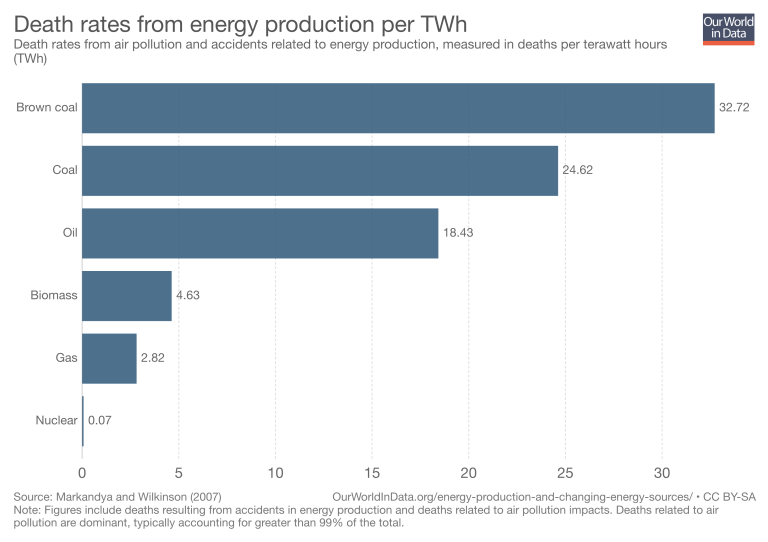 One way to run these numbers is to compare mortality rates per trillion kWhr of energy production (this includes deaths, both direct and indirect, from Chernobyl and Fukushima, using the highest estimates of deaths from radiation exposure). James Conca’s analysis compares the figures for different countries, and show that coal from China (75% of China’s electricity) has a mortality rate of 170,000 deaths per trillion kWhr. Roof top solar sees 440 deaths (installers fall off roofs) and wind turbines cause 150 deaths. 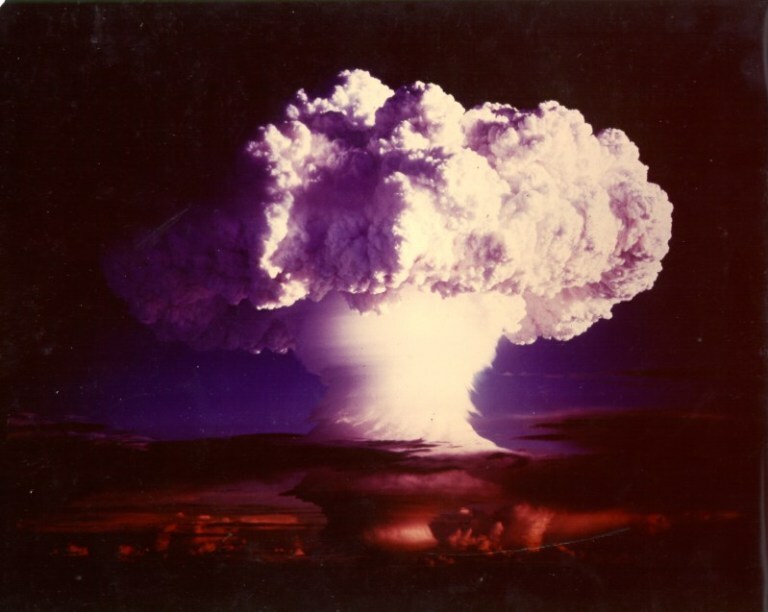 In the United States, nuclear has led to 0.1 deaths per trillion kWhr. Worldwide, including Chernobyl and Fukushima, indirect deaths from radiation exposure and increased cancer risk including direct deaths, nuclear’s history has witnessed 90 deaths per trillion kWhr of energy production. When comparing risks from fossil fuels versus other other energy sources, we also need to factor in the risks from runaway climate change. These are harder to measure with certainty. One estimate figures 14 million additional deaths from heat-related illness alone if temperatures rise 4º—which is what will happen if we continue business as usual. Another study estimates more than half a million excess deaths from reduced food production alone, by 2050. The worst case scenario? Take a look at the end-Permian mass extinctions 252 million years ago. Emissions of large amounts of CO2 led to the extinction of 90% of life in the ocean and 75% on land. As Peter Brannen writes, “Today the consequence of quickly injecting huge pulses of carbon dioxide into the air is discussed as if the threat exists only in the speculative output of computer models. But, as scientists have discovered, this has happened many times before, and sometimes the results were catastrophic.” We are now releasing CO2 at 10 times the rate that sparked the end-Permian. The hazard of runaway climate change? Existential. The probability? Unfortunately, it’s higher than the probability of another nuclear reactor meltdown, given the fact that our greenhouse gas emissions are exponentially increasing. In the future, we hope that conservation programs will lead to a significant reduction in power demands, allowing renewables with batteries for backup and microgrids for resilience to supply the globe’s power needs. But even that hopeful vision isn’t fully sustainable, because renewables involve significant mining of non-renewable resources. Every energy source—include solar, wind, and geothermal—creates mining waste and greenhouse gas emissions from the full life cycle (which includes mining, processing, transport, energy production, and waste storage). Life cycle analyses show that coal generates 1000 grams of CO2 per kWh. Solar generates 58 grams—much less than coal, but more than wind and nuclear at 5 grams of CO2 per kWh. Even conservation, laudable as it is, has a mining and greenhouse gas footprint, because it typically involves the production of foam or cellulose insulation, which includes some polystyrene with all of its associated plastic ills. Nuclear is not classified as renewable because its energy source is mined;but does it really require more mining per kWh of energy produced than solar or wind? I didn’t have time to track down these figures, but it’s worth considering the question. If we use the carbon footprint of mining as a rough proxy for disturbance from mining, then nuclear is on par with wind, and less problematic than coal and natural gas. My broader point is that assigning simple categories to energy sources such as “renewable vs. non-renewable” or “sustainable vs. non-sustainable” is problematic. Every energy source involves the mining of non-renewable resources such as copper, nickel, and zinc. Every energy source creates some greenhouse gas emissions during its full life cycle. 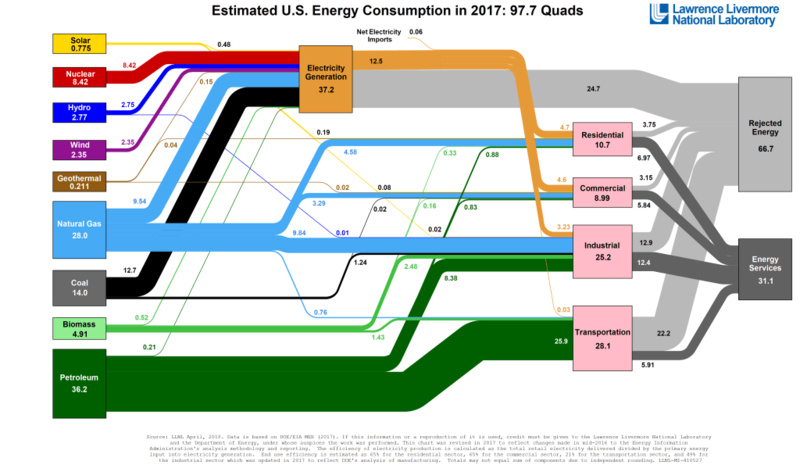 But wind, solar, geothermal, and nuclear are orders of magnitude below fossil fuels, and controlling runaway climate change requires all of them right now, with renewables scaling up as quickly as possible and nuclear giving us time for that to happen. While I’m no eco-modernist, I am intrigued by emerging technologies such as thorium and next-gen plants that use a cradle-to-cradle design philosophy to re-imagine used fuel not as waste, but rather as a generative source of power for new energy. Yes, light water reactors (LWR) can be made much safer than the older designs now in use. But no amount of tweaking will overcome the fact that light water reactors, which rely on water to prevent meltdowns, are inherently poor designs for commercial energy production. They were designed for nuclear submarines, where a water-cooled design had a fail-safe backup in case of power failure. Far better, safer fuels exist for nuclear plants, such as thorium. Thorium is an element abundant in the U.S. and Canada, and while radioactive like uranium, it presents far fewer mining, power generation, and waste storage risks. 99% of mined thorium can produce energy, compared to uranium, of which only 1% creates energy and the other 99% becomes radioactive waste. One ton of thorium can produce as much energy as 35 tons of uranium. What all this means is that there are two orders of magnitude less radioactive waste from thorium than from uranium. Meltdown risks are negligible, because thorium-fueled molten salt reactors are self-cooling in case of disaster, not relying on water to stop a meltdown. Spent fuel cannot be weaponized easily or seized by terrorists. Thorium, in other words, eliminates many of the potential hazards from conventional nuclear. So why aren’t we using this miracle fuel for nuclear plants? Uranium is a legacy of the Cold War. 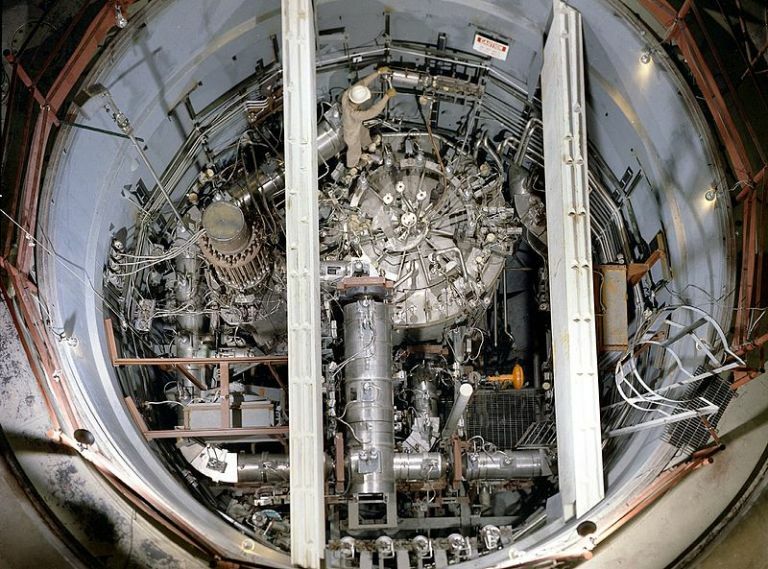 We once had a functional thorium reactor developed at the Oak Ridge National Laboratory during the late 1960s. It ran for five years “before being axed by the Nixon administration. The reason for its cancellation: it produced too little plutonium for making nuclear weapons. Today, that would be seen as a distinct advantage. Without the Cold War, the thorium reactor might well have been the power plant of choice for utilities everywhere.” At the time, one key purpose of our nuclear energy program was to supply our nuclear weapons program. Now of course, thorium’s Cold War bug has become its feature, but we are woefully behind in thorium research. The Netherlands started up a proof-of-concept thorium reactor in 2017, the first one in several decades, and both India and China are busy researching new designs. Significant research and regulatory hurdles remain before thorium reactors can replace uranium reactors, so like scaled-up solar and wind storage, it’s not going to be online soon enough to prevent 2º of warming. Over the longer haul, thorium might give us a little breathing space to make fundamental political and structural changes, but it doesn’t obviate the need for those changes. To illustrate this, I show my students the opening clips of Okkupert, a Norwegian TV series that starts with a hurricane powered by climate change that kills thousands of Norwegians. Shocked, the citizens elect as Prime Minister the leader of the Green Party, and he promptly shuts down the flow of north sea oil. To provide Norway’s domestic energy needs, he opens a nuclear plant powered by thorium. Cutting off the flow of oil destabilizes the power relations that have developed around North Sea oil. Russia invades Norway to turn the oil back on, and the EU and the U.S. simply watch, eager for their share. New energy sources don’t erase generations of political balancing acts around fossil fuels, in other words. Politics don’t vanish when the fossil fuels get turned off. Better designed urban systems, better electricity systems, better transport systems, will all go a long way toward decreasing carbon emissions. New solar-mega farms, like the one being constructed in Morocco that will eventually power a million households, will someday help us meet the globe’s new energy needs, possibly with the help of thorium. 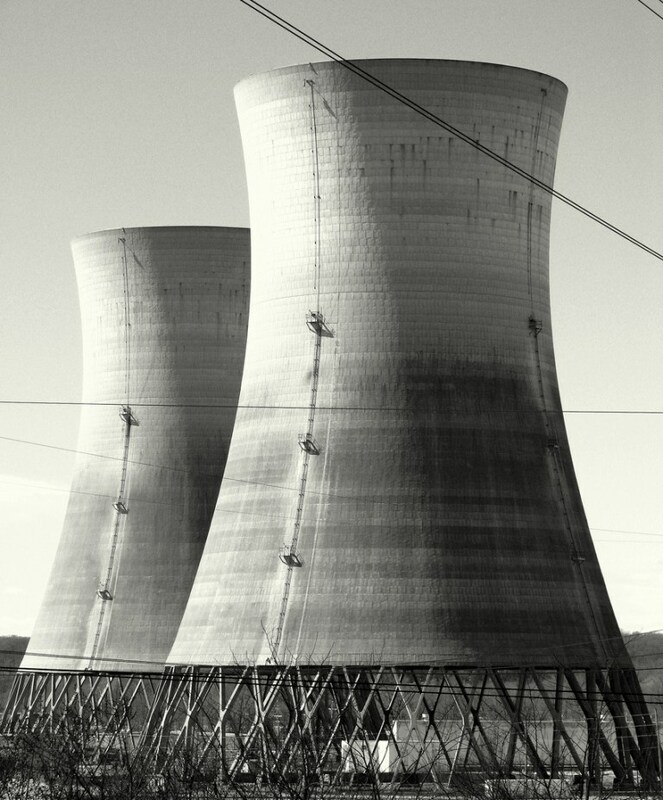 Until that day, maintaining existing nuclear plants, problematic as they are, is essential. Editorial staff, “Retiring More Nuclear Plants Could Hurt Mass. Climate Goals – The Boston Globe,” Boston Globe, June 2, 2018, https://www.bostonglobe.com/opinion/editorials/2018/06/02/retiring-more-nuclear-plants-could-hurt-mass-climate-goals/z0PRjeQPr0TIVBtsYB7rpI/story.html.